I am always searching for ways to modify my current cooking habits to make them healthier. When I find a good recipe or two, rather than recreate the wheel, I share it with you. Most of my family meals are very simple and require little prep and few ingredients, so I love these recipes. In all honesty, I have only tried three of them, but they were a hit with my family and very easy to make. Word to the wise, try not to compare them to french fries because they are not. 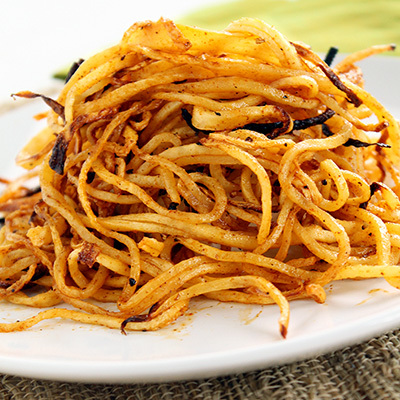 Instead, try them and know you are getting a healthy dose of vitamins and minerals along with the good taste. Sometimes nutrition comes down to thinking outside the box. French fries are one of the ultimate comfort foods, and while there’s no denying how satisfying a salty serving of fried potatoes can be, enjoying a serving of fries doesn’t have to be a guilty pleasure. 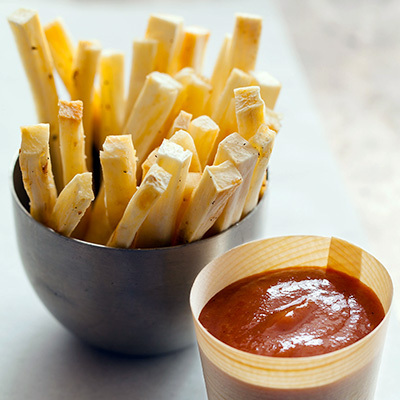 It’s easy to make healthy fries at home, and branching out from your usual spuds is a great way to up the nutritional value and slash calories while still enjoying the comfort food favorite. Steer clear of your local drive-through window and bake a big batch of one of these nutritious veggie French fries that everyone will flip for. This entry was posted in Nutrition Information, snacks. Bookmark the permalink. WOW such exotic options. I have never even heard of daikon, and jicama, (though I’ve had it before) has never been one of the actual produce items in my cart. Need to branch out! 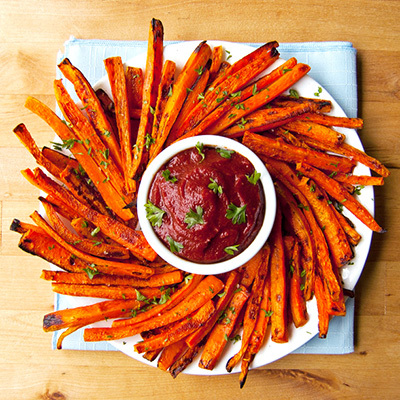 I made the carrot fries and the from scratch ketchup without the brown sugar! It’s actually not that bad! The carrot fries were very yummy, but you need to cook them longer than suggested if you want a crispy texture. Good to know Dawn! Love that you omitted the sugar. Carrots are so sweet to begin with they really don’t need the extra sweetness. 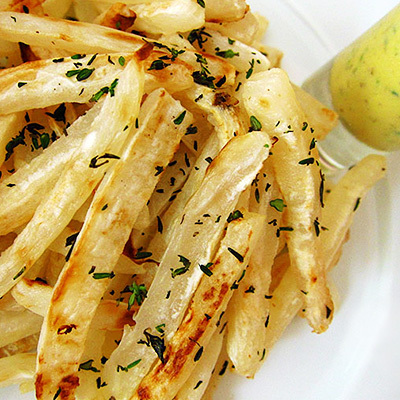 Be anxious to know how you like the jicama fries. Those are my new favorites. 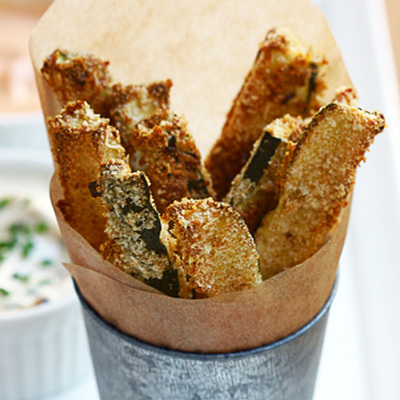 I’ve heard zucchini fries are good and I plan on hitting those up this summer.